We’ll tell legendary stories for the next 20 years about the Industry Cup race with Team Bike Hugger, the Hugga Hookup, and Cipollini. 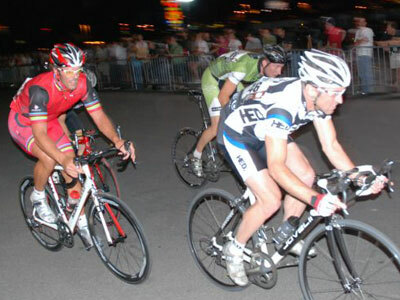 Read Andrew’s race report, Velonews, and see more photos in our photostream. photo: Matt Carter, Velonews. Cipo in red, Andrew in Bike Hugger green, and Tim Mulrooney from Hed Cycling.